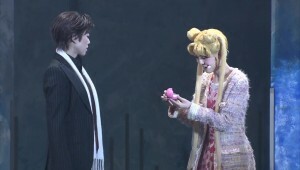 The latest Sailor Moon musical, Le Mouvement Final, was presented in Japan from September 9th to October 1st. 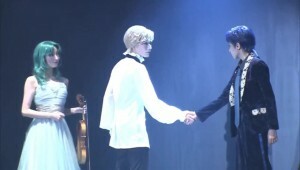 As with other recent musicals one performance was made available to stream to Japanese fans and Miss Dream, the fan subbing group, recorded the stream and has created an English subtitled version which they have made available for download. 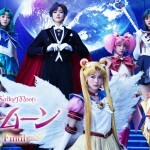 Fans can follow this link to download Sailor Moon Le Mouvement Final musical! 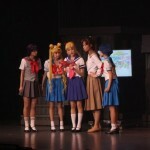 This latest musical is the last of the current wave, following the Stars story arc of the manga, which had been adapted as the Sailor Moon Sailor Stars season of the original anime. 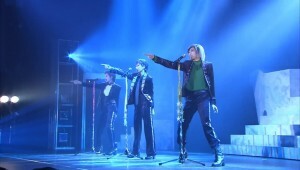 This covers the story of the Sailor Starlights, posing by day as the pop group the Three Lights, as they join the other Sailor Guardians to fight Sailor Galaxia and the Animamates. I haven’t watched the musical yet but once I do I’ll likely post something with my thoughts on it. For those who have watched it, what did you think? Sadly this will be the last musical in this recent wave which started back in 2013 with La Reconquista and continued with five musicals starring all female casts. 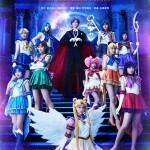 I would never assume this will be the last Sailor Moon musical ever as we’ve seen the musicals come back after an 8 year absence in the past, but the next one we will see will quite possibly be something quite different with a different cast and potentially be yet another retelling of the story. 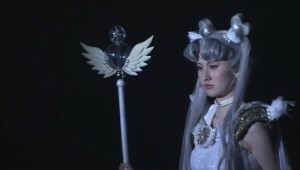 This entry was posted in Sailor Moon Musicals and tagged Le Mouvement Final, Miss Dream by Adam. Bookmark the permalink. I love these. But I want more information of Sailor Moon Super S in VIZ. As a fan of musicals, I have tried to like these but I just can’t get into them.